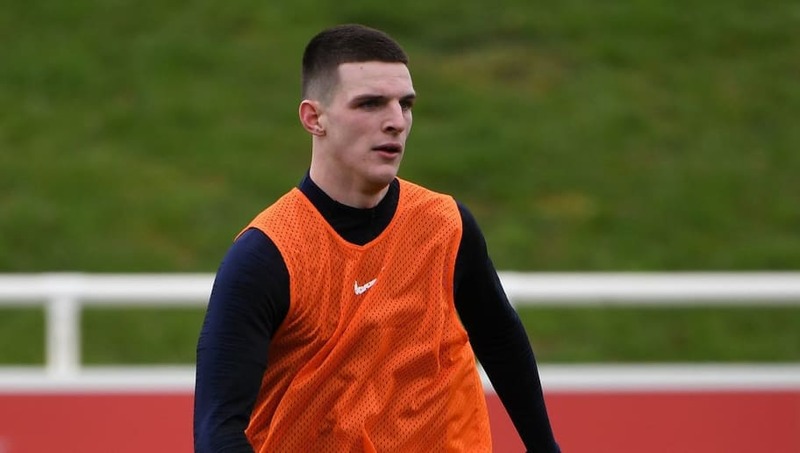 West Ham and England midfielder Declan Rice has apologised for a pro-IRA comment he made on social media back in 2015. Rice, who rose up through the youth ranks with the Republic of Ireland, and went to make three appearances for the senior team, switched allegiances to England last month and was called up by boss Gareth Southgate for the Euro 2020 qualifiers. However, the 20-year-old has now issued a public apology for a comment he made back in 2015 on Instagram in response to an Under-17s teammate's post, which read: "My brudda. UP THE RA. Wait till we draw England." Having been made aware of the fact that these comments had resurfaced, Rice, as quoted by ​Sky Sports, explained: "I am aware that a poorly-expressed comment I made when I was a junior player has been circulated on social media. It is understood that the ​Hammer, who has played 32 times for the east Londoners this season, will not face any official punishment from the FA, though he has received written word from the body reminding him of his responsibilities. The 20-year-old has been training with his new Three Lions teammates all this week, and could be in line for his first cap in Friday's Euro 2020 qualifier against the Czech Republic at Wembley.